With operations becoming a vital function of PennDOT, staff has been reviewing how to use smart practices to make ourselves more efficient. The Central Regional Traffic Management Center (RTMC), which is housed in the District 2 office in Clearfield, has been piloting a partnership with Clearfield County 911. The "status display" — or "Web CAD" — pilot program integrates County 911's computer-aided dispatch console directly into the Regional Traffic Management Center's standard operating procedure and operations. The integration of status display has resulted in decreased response times, reduction of phone calls to emergency stakeholders, and an increase in RTMC efficiency. 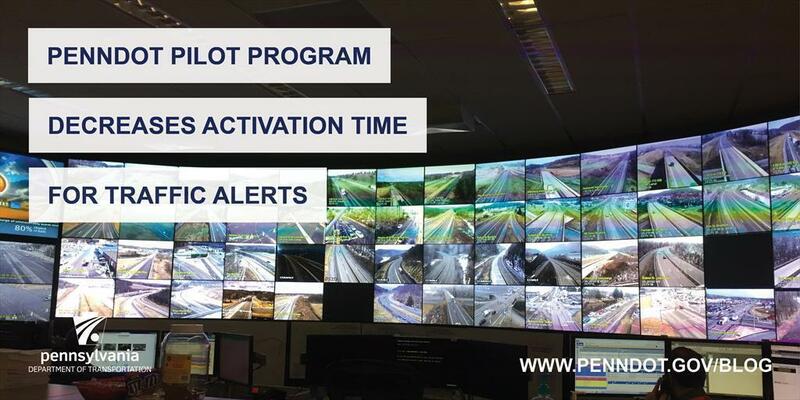 The goal of this pilot project was to reduce the incident influence timeline between when the incident occurs and when intelligent transportation system (ITS) devices​ — like dynamic messages signs, highway advisory radio, and road condition reporting system — are activated. Since its induction, the program has decreased activation times by more than 20 minutes. The RTMC now has the capability to activate ITS devices within the first 10 minutes of an incident, which then increases the safety for emergency responders and the traveling public. The Clearfield 911 Center also is seeing benefits. Those include cost savings for obtaining the closed-circuit video feeds, the ability to create a video display wall of their own, and lessening the phone call burden on 911 operators by reducing the need to make back-and-forth calls between agencies. With the success of this pilot project, the Central RTMC has been meeting with other county 911 centers and county commissioner boards to discuss the safety and cost-saving benefits that can be realized through a PennDOT/911 partnership. Because of these meetings, the Centre County 911 Center has agreed to provide its live 911 Web CAD feed to hopefully reduce the volume of phone calls necessary when an incident occurs. Within the coming months, the Central RTMC hopes to expand to Clinton and other counties within the region.